Our range of products include electrical hot plates. By keeping track of the latest developments, we are providing Electrical Hot Plates. This is robustly constructed using quality approved raw material and advanced techniques. The hot plate made of cast iron, duly finished in heat resistant black paint is firmly mounted on the body. To meet the diverse requirements of our esteemed clients, the offered range is available in different specifications. Furthermore, clients can avail the offered range from us in customized design and at the most reasonable prices. 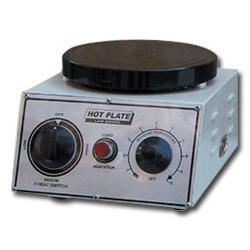 Looking for “Electrical Hot Plates”?